This entry was posted in Mrs. B. 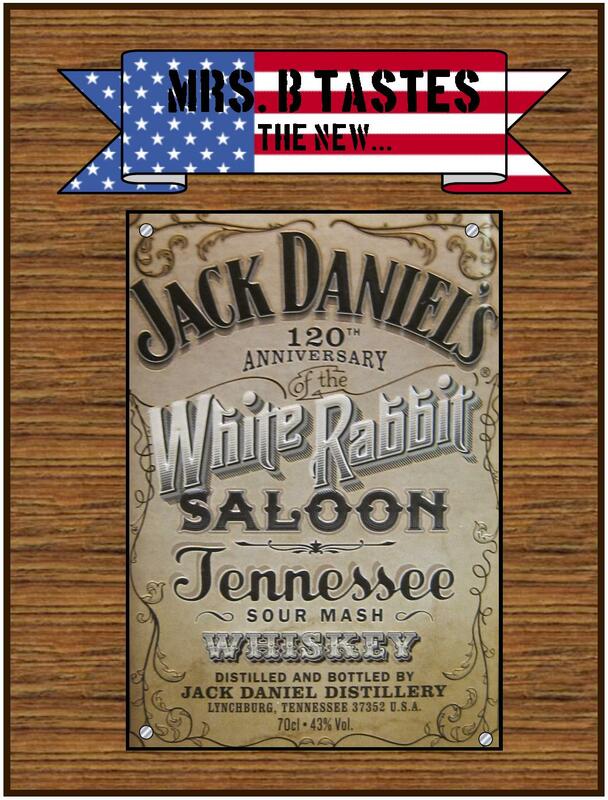 & The Whispers of Whisk(e)y, Product Reviews and tagged 43%, Borubon, Jack Daniels, Limited Edition, New, Saloon, Special Edition, Tennessee Whiskey, whiskey, White Rabbit by mrsbentley. Bookmark the permalink. I might pass on white rabit. 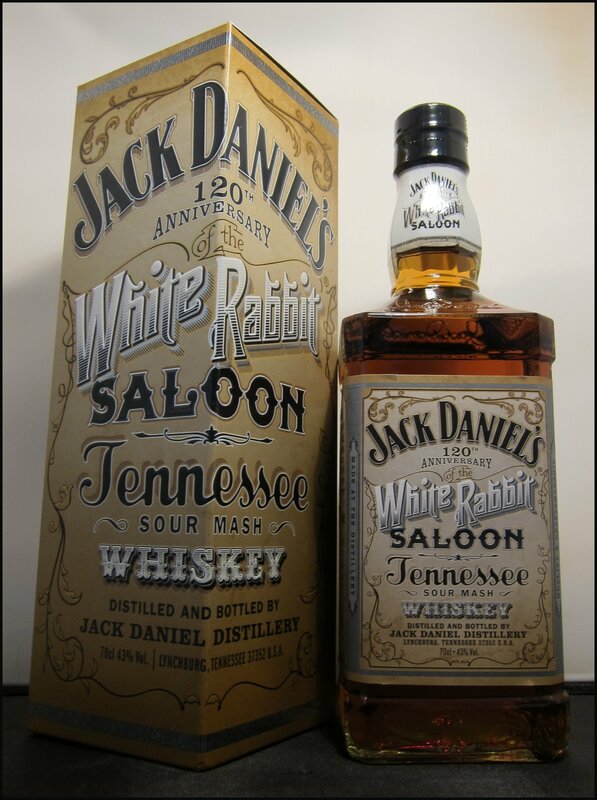 I find this artificial tasting in some JD bottles so bad. It’s a horried bite and taste. I think I aired it that out in cool air. Maybe pour half out and start oxidationing it. What is green like? Is it a lot less oaked then No 7 and more of the fresh ripe malt, rye, corn and refreshing. I think people would give my poor looks buying it. Im not sure stepping up to single barrel is a good idea. Ive had JD honey and it really had no power and cerealy texture. Ive had gentalman and one bottle was like too heavy oak and so rough. I wont by that one again. I think if you can get for a good price it would be worth a punt. And You seemed to have a better idea/opinion about JD than many people so I wouldn’t worry what other folks think. Hope this helps.